Elected officials and business leaders are calling for major improvements to reduce traffic congestion on Interstate 270. The group will discuss its ideas for how to fix the heavily congested highway at a news conference on Monday. They're calling themselves the "Fix270Now'' coalition. Democratic Congressman John Delaney is leading the group. AAA Mid-Atlantic says the Interstate 270 corridor, which runs from Frederick to Bethesda, is one of the most congested interstates in the nation. The group says it will push for completion of two long-term studies that are currently on hold. 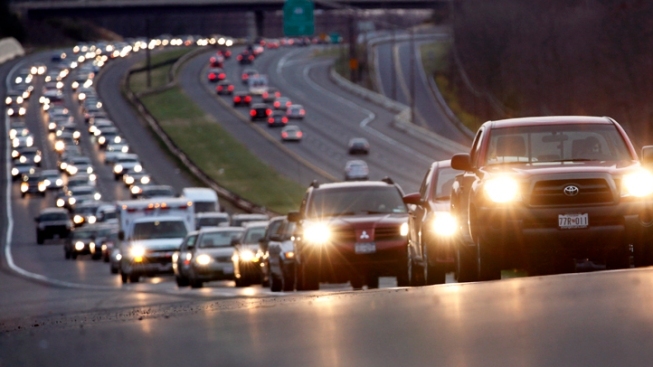 It says improvements to the highway could improve peak-hour speeds by up to 87 percent. This summer, Republican Gov. Larry Hogan's administration called for firms to submit their ideas for quick, cheap improvements to the highway to aid traffic flow.